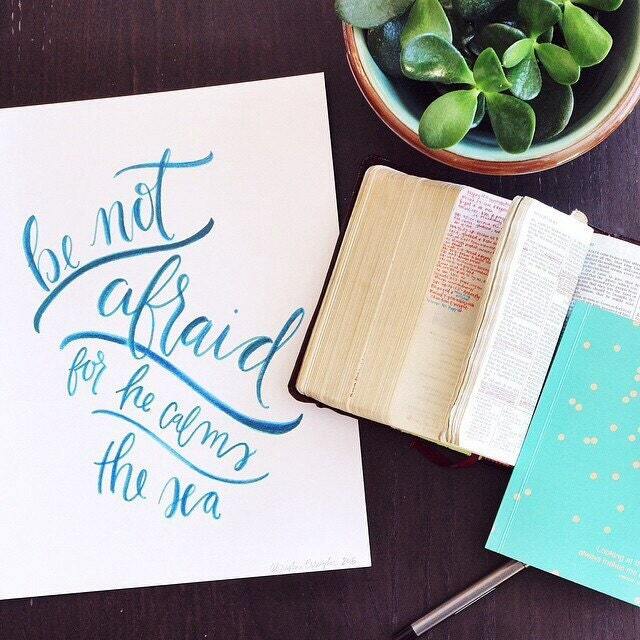 This professional print of my scripture inspired, hand lettered watercolor, is the perfect piece of encouragement to have in your child's room! It's so important that our kids learn at a young age that God will protect them no matter what. 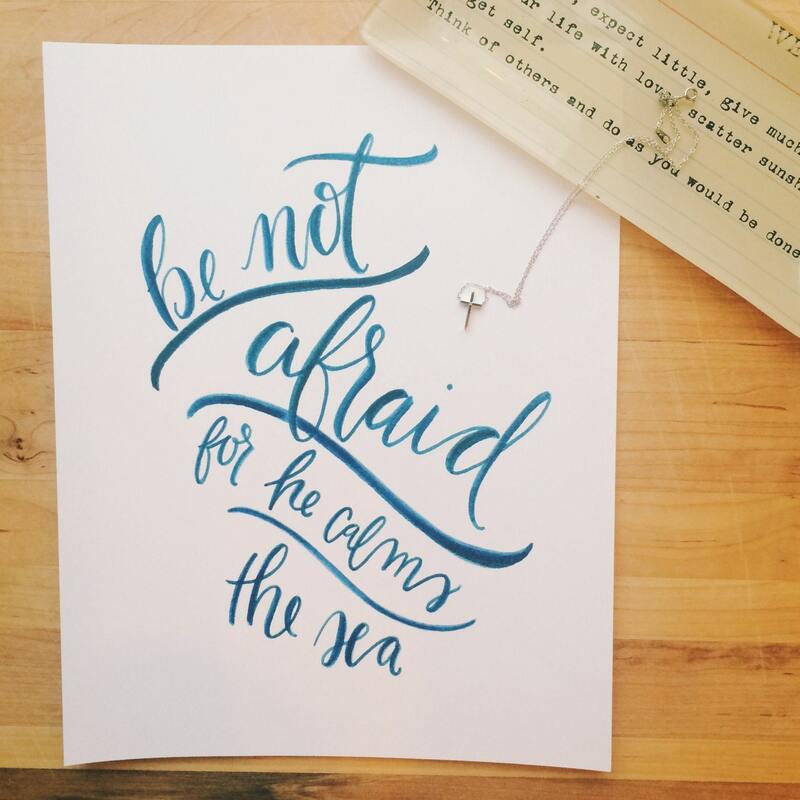 Created in shades of blue inspired by the motion of the waves, it reads 'Be not afraid, for He calms the sea'. 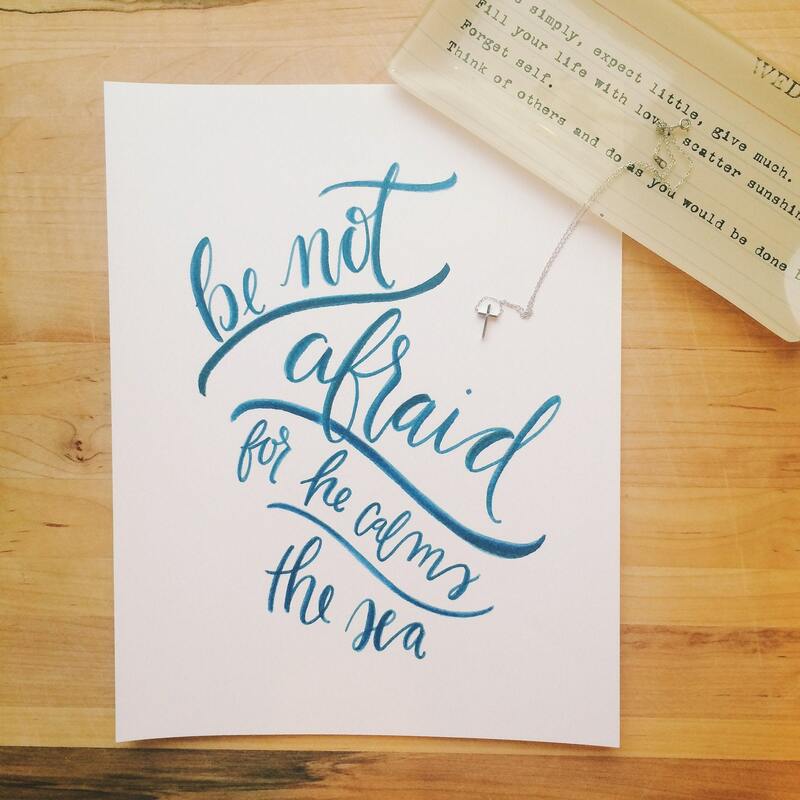 Professionally printed on heavy weight card stock and shipped in a rigid cardboard mailer to ensure safe delivery.